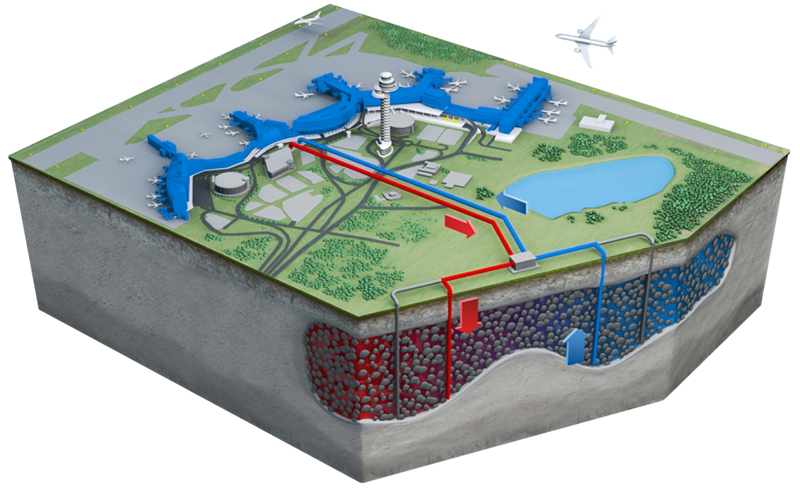 ATES is an innovative open-loop geothermal technology. It relies on seasonal storage of cold and/or warm groundwater in an aquifer. The technology was developed in Europe over 20 years ago and is now in use at over 1,000 sites, mostly in The Netherlands and Scandinavia. ATES is essentially unheard of in the US, with the exception of the ATES project at Richard Stockton College in Pomona, New Jersey. Although ATES is highly efficient and very “green,” it is not a renewable energy technology as it is used for energy conservation, not energy production. However, ATES is often used in conjunction with renewables, such as use of solar hot water panels to create hot water for storage in summer, and with solar- or wind-powered electricity to power the mechanical components of an ATES system. ATES requires a suitable aquifer, into which at least two thermal wells are installed. Other components of an ATES system include heat exchangers, conveyance piping, and mechanical systems and controls necessary to integrate an ATES system with a heating, ventilating and air conditioning (HVAC) system. ATES applications typically involve storage and recovery of cold water, although warm water storage is also used, particularly if there is excess heat available in summer months from solar panels or a cogen plant. During cold winter weather, groundwater can be pumped through a simple heat exchanger where it is chilled, and stored in a designated “cold store” portion of an aquifer. Cold groundwater is recovered from the cold store during summer months and used for cooling. After the water has been used for cooling, it has been warmed and is injected into the designated “warm store” portion of the aquifer. The cycle is repeated seasonally. 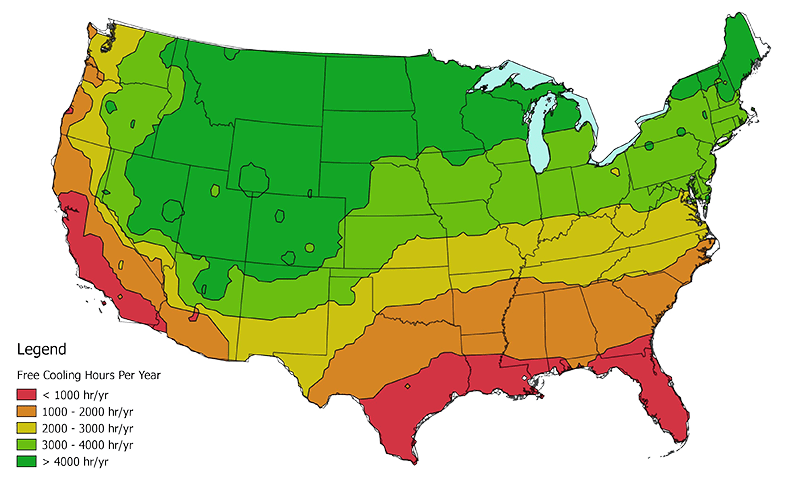 ATES can achieve seasonal energy efficiency ratio values of over 60 – that’s about four to six times more efficient than conventional heating and cooling systems. Efficiencies are generally measured as a ratio of electrical power input to thermal power output from a system. ATES is highly energy efficient because it is not necessary to burn fossil fuels or use electricity to heat or cool water on demand. Instead, an ATES system takes advantage of natural heating and cooling available during summer and winter and stores that heat in an aquifer until the following cooling or heating season when it can be used. The high specific heat capacity of water and the nature of groundwater flow in porous media make an aquifer an excellent medium with which to store and recover heat. The cycle is repeated seasonally, and there is no net withdrawal or addition of water to the aquifer system. Simply stated, it is more efficient to move heat around than it is to generate heat or cold on demand. There has to be a catch! Is ATES expensive? Difficult to permit? First, ATES won’t work at your site if there isn’t an aquifer present (if that’s the case, BTES should be considered). It also needs a reasonably large site to have enough room for both a cold and a warm store, so ATES is not going to be cost effective for most residential or small commercial sites. 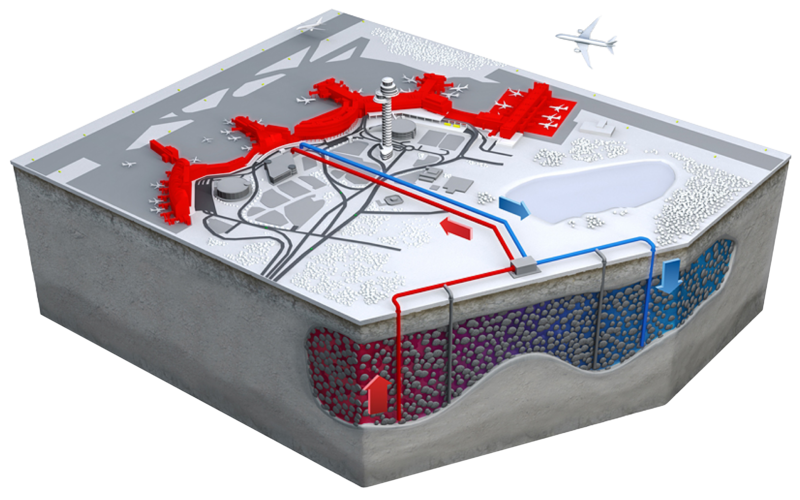 Due to the profound hydrogeologic and engineering knowledge required to design an ATES system, the design and construction costs will be relatively high compared to a conventional HVAC system. However, recent ATES projects in Europe are projecting a payback in about five years. The design life of an ATES project is approximately 30 years. 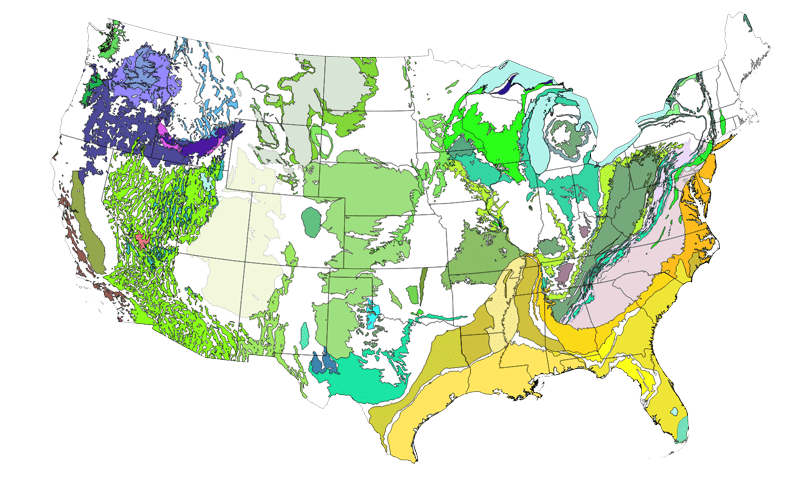 Because an ATES system relies on groundwater injection and withdrawal through wells, care must be taken to avoid geochemical or operational conditions that could foul the well screens. Typically, the primary permitting requirement for an ATES system will be an Underground Injection Control (UIC) registration. Most states have primacy over this federal program, meaning the registration is obtained at the state level. Because UIC requires a registration, which is normally much easier to obtain than a permit, federal or state approvals of an ATES system should not be difficult. If local permits are needed, the net environmental benefit of an ATES project and the unobtrusive nature of its operation should facilitate timely approvals. Groundwater is not chemically altered in an ATES system – therefore the only regulated parameter of concern is temperature. Accordingly, the design of the ATES system should strive to minimize subsurface thermal impacts at the property line.